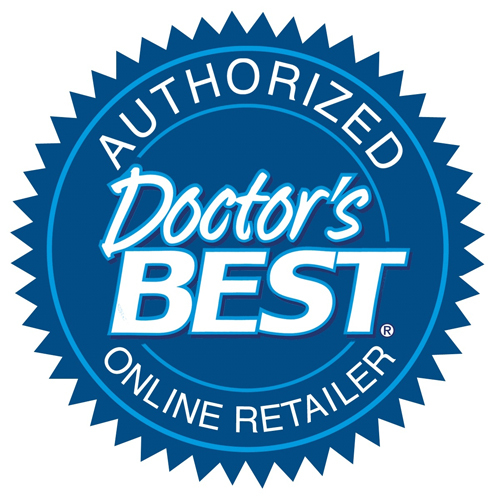 Doctors Best Vitamin C featuring Quali-C provides a brand of ascorbic acid manufactured in Scotland prized for its quality and reliability. Ascorbic acid is invaluable to the body for its role as an electron donor, supporting numerous metabolic enzymes in addition to enhancing the body’s total antioxidant potential. Essential for the synthesis of collagen, carnitine, and certain neurotransmitters, ascorbic acid can also aid in iron absorption. Research suggests that this vitamin supports many additional areas of health, including the cardiovascular and immune systems. Quali-C provides a brand of ascorbic acid (also known as ascorbate) that is manufactured at the only plant outside of Asia that produces high-quality vitamin C. Located on the coast of Scotland, the site is committed to minimising the environmental impact of its production process, and ensures that their vitamin C is made from glucose originating from European non-GMO cornfields. Vitamin C (as Quali™ C ascorbic acid), modified cellulose (vegetarian capsule). Take 1 vegicap daily, preferably without food. 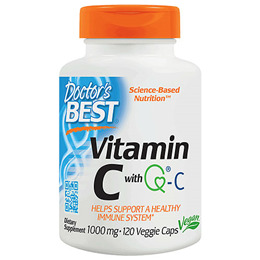 Below are reviews of Best Vitamin C - Quali C - 120 x 1000mg Vegicaps by bodykind customers. If you have tried this product we'd love to hear what you think so please leave a review. I use also powder vit C but, in the morning, when I don't have so much time, I prefer these vegicaps. I recommend it. Its the best source of Vitamin C have ever try. 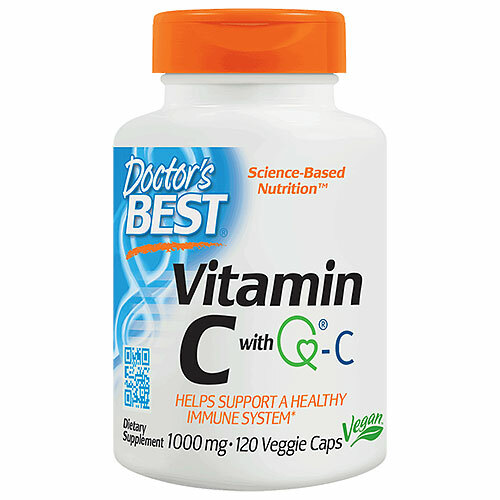 have heard from another company i use - that this vitamin C comes from G M O free source of Vitamin C.
Best Vitamin C - Quali C provides a brand of ascorbic acid, which may help neutralise oxidant stress. Research suggests that this vitamin supports many additional areas of health, including the cardiovascular and immune systems.